Our food is losing significant amounts of vital enzymes and phytochemicals due to growth-enhancing agricultural methods, industrial food processing, synthetic and other additives, and food preservation. The body’s own enzyme production also declines with age, increasing the need for these basic nutrients and vital substances. Stress, lack of exercise, pollution and protein-rich foods may tax the body and cause an additional deficiency of basic nutrients and vital substances. 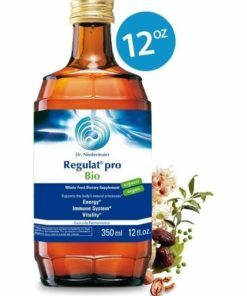 If you wish to purchase Regulat from our website, you will need to have a special password which we will give you after we receive a written or e-mail authorization from your Physician or Naturopath recommending Regulat for you. Please e-mail us.